Use of optical and geophysical technology forms a vital part of archaeological fieldwork, allowing archaeologists to map archaeological sites and landscapes. This talk discussed the state of the art in terms of survey methodologies and geophysical survey techniques used in archaeology, demonstrating the theoretical knowledge used in the development of different techniques and their practical application, and presenting the results of some case study work undertaken by the University of Southampton. Fieldwork techniques and results of work in different locations, highlighting the work of the university, and the cutting edge technologies applied by university staff. 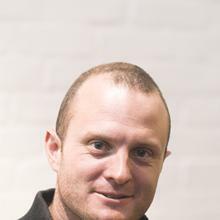 Mr Kristian Strutt is an Experimental Officer in Archaeology at the University of Southampton.